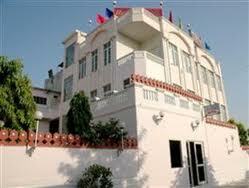 3, Peelwa Garden, Moti Doongri Road, Jaipur, Rajasthan, 302004. Suryaa Villa offers you a wide variety of accommodation ranging from deluxe to super deluxe rooms that will suite every budgetHowever our main goal is More Info..
Moti Doongari Road, Jaipur, Rajasthan, 302004. Naila Bagh Palace is one of the oldest properties of the city and is a landmark on Moti Doongari road The property is reflective of traditional Jaipurs arc More Info..
A- 40, Subhash Nagar, Near Peetal factory, Jhotwara Road, Jaipur, Rajasthan, 302016. Sarang Palace Hotels in jaipur is located in a plush residential area of jaipur well insulated from the bustle and chaos of the city in Rajasthan a Northw More Info..
5, Kanti Nagar, Opp. Polovictory Cinema, Jaipur, Rajasthan, 302016. Located in the heart of the Pink City Hotel Golden Jaipur is within walking distance from the Railway Station as well as the Central Bus Stand Sindhi Camp an More Info..
D1-2A,Behind Collectorate, (Via) Bank Road, Bani Park, Jaipur, Rajasthan, 302016. Welcome to one of the best run Jaipur hotels Umaid Bhawan Jaipur is a modern heritage hotel with a budget hotel tariff providing world class Rajasthani styl More Info..
Near Vivek Vihar Metro Station, Sanjevani Hospital, New Sanganer Road Sodala, Jaipur, Rajasthan, 302019. 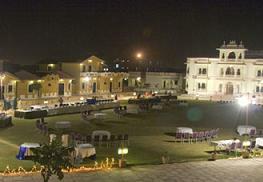 The Hotel Laxmi Niwas is located in Jaipur Rajasthan a Northwest province of India Located in the peaceful Rajasthani countryside eight kilometers from the More Info..
Hathroi Fort, Ajmer Road, Jaipur, Rajasthan, 302001. 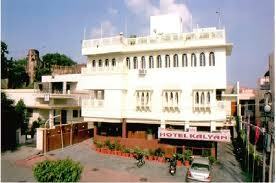 Hotel Kalyan offers you a wide variety of accommodation ranging from Semi Deluxe rooms that will suite every budget Our rooms at Hotel Kalyan has been designed More Info..
Near Bank Of India, M.I. Road, Jaipur, Rajasthan, 302001. Hotel Savoy presents Jaipur Budget Hotels Cheap Economical Accommodation in Jaipur attractive Jaipur Hotel Packages Budget Hotel Room Tariffs Heritage look More Info..
C-20 / B-2 Bihari Marg, Jai Singh Highway,, Opp. Lane of K.P. Automotives, Bani Park, Jaipur, Rajasthan, 302016. 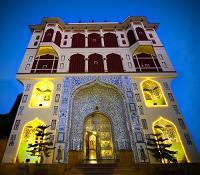 Umaid Mahal is a classic style heritage style budget hotel in Jaipur with some of the most exclusive interiors and ambiance you can find in Jaipur Umaid Mahal More Info..
12 Mile, Vatika Mod, Tonk Road, Jaipur, Rajasthan, .. Pride Amber Vilas the best resort in Jaipur Located just 6 Kms from the Airport is an elegant and ethnic luxury hotel in Jaipur developed on the main road More Info..